There is something clearly said when a bunch of well-known musicians from across the board come together to support military veterans and their families. Well, The Chop Shop Bar and Grill in Simi Valley, Aug 2, 2014 certainly had a packed house for an unbelievable showcase. The (13 time Humanitarian Award Winner): Ron Whitaker and Rodica Isabella Shaldan are the creatures of this charity event, alongside with (Founder of Ridone, Inc.) Don Knystra. Ron Whitaker and Rodica Isabella Shaldan belief of helping people struggling of homelessness, disabilities, military veteran’s, local food shelters, and etc. ; has proven their passion and love to help a true cause. The duo pair decided to work together with (Founder) Don Knystra from Ridone, Inc., on their recent project to hold a showcase music event for the needy. Ridone is a 501 (c) non-profit corporation dedicated to educating and providing individuals hair-care, cosmetology services, and heighten awareness to strengthen productivity of people with disabilities and disadvantages in communities across America. The concept of a hosting live band charity event for a cause is truly uplifting and brilliant conceptual idea! 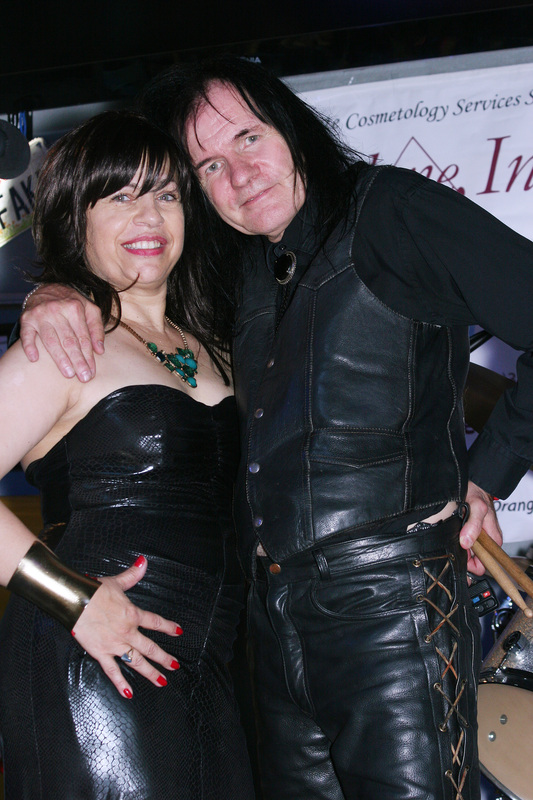 Consecutively the “Rock 4 Veterans” was truly a powerhouse show of the most well re-known music talent to be showcased at The Chop Shop Bar and Grill, Aug 2, 2014. Every music talent brought passion, love, and fire to each music set. With a packed house, people coming together for a cause, enjoying great food, awesome drinks, and seeing a live show was the icing off the cake! To see so many extraordinary music talents coming together for a cause was mind-blowing on all levels. The “Rock 4 Veterans” was truly a phenomenal show and will never be forgotten. Another true highlight of the charity event was a generous donation of $1,000 and a $700 guitar given from Mike Wolpin. 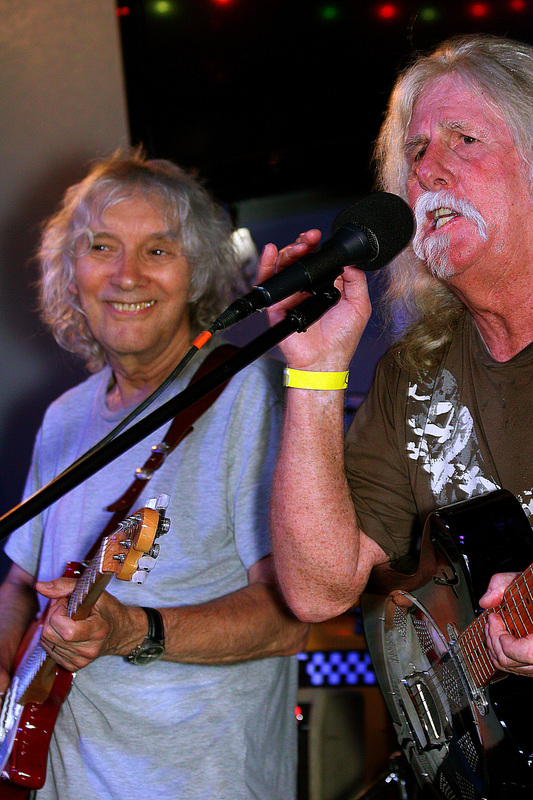 Mike Wolpin got the chance to perform with his music icon Albert Lee, since he gave such a gracious donation. I have to say this guy held his own on stage and left the audience enjoying his firey performance with the whole band. What an amazing spirit Mike Wolpin is! This guy will forever be appreciated for his generosity and his live music set. The next expected sponsored event is to take place, November 2, 2014, 9:00am to 3:30pm. This event will be hosted by: Ridone, Inc., Ron Whitaker, and Rodica Isabella Shaldan. The event will be held at: The Loyal Order of Moose Lodges, 4860 Alamo St., Simi Valley, CA 93063, (805)583-9965. Veterans will receive free haircuts, hairstyles, manicures, make-up, arts & crafts for the kids, free portraits for Veterans and their families. Let’s not forget there will a food, fun, and live bands at the event. If you would like to donate or sponsor this event, call Ridone at 899-699-8879 or 818-437-7746. You can also visit the website: http://www.ridone.org. This Event for the Veterans at the Chop Shop in Sim Valley was full of musical delights and surprises for everyone in attendance. There were some world class Musicians & Artists performing all afternoon to the packed house’s wild appreciation. If you like being somewhere where there are great vibes, then this was the place. If Don Knypstra has anything to do with it….and he does….there will be more events such as this one coming up soon along with the rest of his able staff and crew. I was privileged to be able to offer my apparel line of patriotic-themed products at the event and received a generous portion of acceptance for the designs displayed. Thanks to all for attending. see you at the next event at the Moose Lodge in Simi Valley in November. Brian, you are the most rocking spirit! Thank you for the love. This entry was posted on August 5, 2014 by bourgeoismagazinela in Entertainment, Events, Music, Music Artist, Music Group, News, Rock N'Roll.